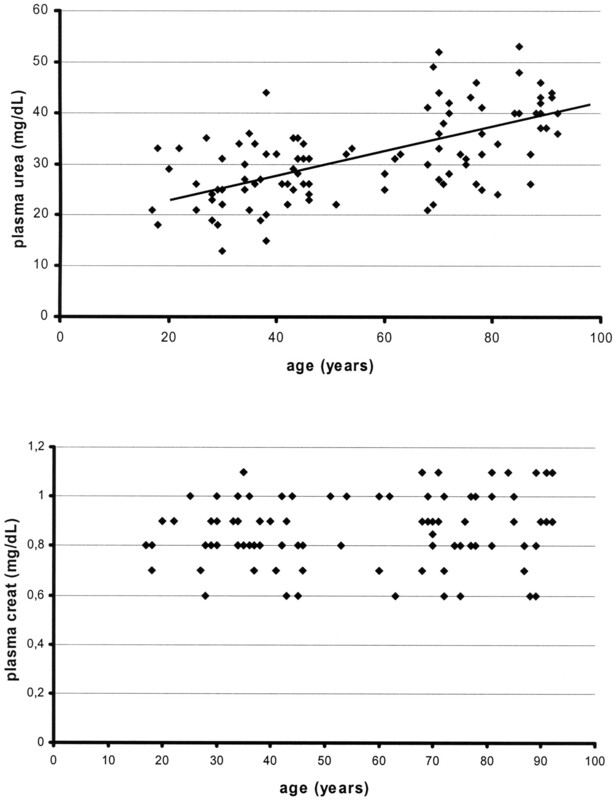 Relationships between plasma urea and age (top; y = 0.229x + 18.26; r = 0.62; P < 0.001) and lack of correlation between plasma creatinine and age (bottom) in 107 patients. 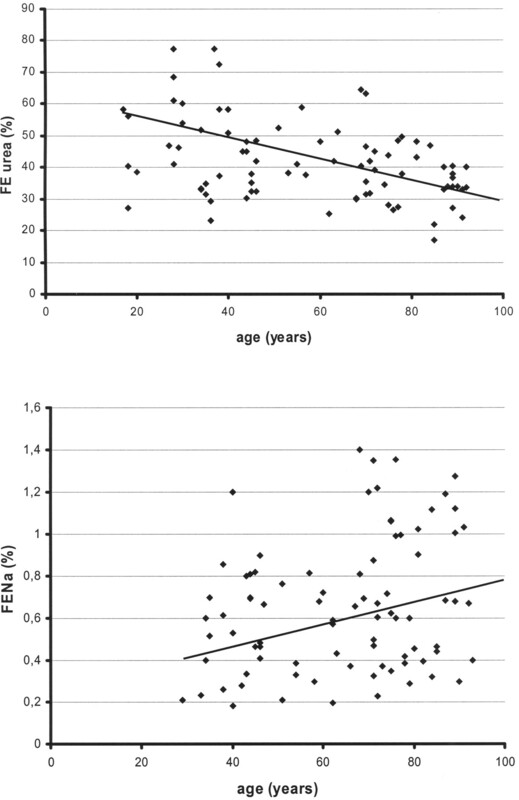 Relationship between fractional urea excretion (FE urea) and age (top; y = −0.226x + 55; r = −0.41; P < 0.001) and between fractional sodium excretion (FENa) and age (bottom; y = 0.0046x + 0.365; r = 0.27; P < 0.02) in 87 patients with an urinary-to-plasma creatinine ratio between 50 and 150. ↵a Data are means ± SD. CrCl, creatinine clearance; creat, creatinine; FE, fractional excretion; P, plasma. ↵b P < 0.001 versus young women. ↵c P < 0.01 versus young women. ↵d P < 0.05 versus young women. ↵a Data are means ± SD. SIADH, syndrome of inappropriate secretion of antidiuretic hormone. ↵c P < 0.001 versus young control subjects. ↵f P < 0.01 versus old patients with SIADH.